Brexit's Biggest Fans in Big Trouble? Turning 65 in the U.K. used to mean mandatory retirement and a future of endless holiday. But in 2016 it has come to signify a very different cut-off: membership in the single most pro-Brexit age group in the June 23 European Union referendum. About 60 percent of Britons 65 and older voted to leave the world’s largest trading bloc in the recent vote, the most of any age group, according to two separate exitpolls. 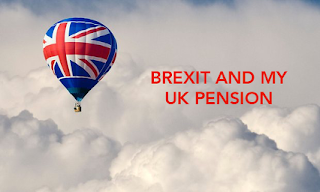 The glaring irony is that senior citizens are also the most reliant on pensions, which face a worsening funding gap since the Brexit vote. 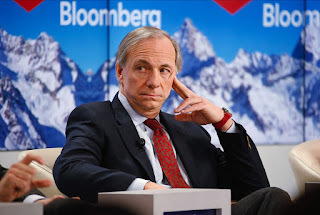 Ray Dalio, the billionaire founder of the world’s largest hedge fund, Bridgewater Associates, likes to say that one of his firm’s core operating principles is “radical transparency” when it comes to airing employee grievances and concerns. The employee’s complaint with the Connecticut Commission on Human Rights and Opportunities, which has not been previously reported, describes an atmosphere of constant surveillance by video and recordings of all meetings — and the presence of patrolling security guards — that silence employees who do not fit the Bridgewater mold. The nation’s second-largest public pension posted its slimmest returns since the 2008-2009 financial crisis because of heavy losses in stocks. The California State Teachers’ Retirement System, or Calstrs, earned 1.4% for the fiscal year ended June 30, according to a Tuesday news release. The result is the lowest since a 25% loss in fiscal 2009 and well below Calstrs’ long-term investment target of 7.5%. Calstrs oversees retirement benefits for 896,000 teachers. 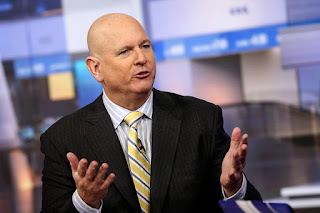 The soft returns by Calstrs, which manages $189 billion, foreshadow tough times for other U.S. pension plans as they grapple with mounting retirement obligations and years of low interest rates. On Monday the largest U.S. pension, the California Public Employees’ Retirement System, said it earned 0.6% on its investments. Other large plans are posting returns in the low single-digits. Beware of a Bull Trap? 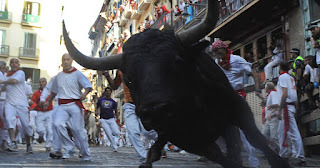 Leo Leydon of Financial Focus Advisory Services in Pembroke, Mass., says the market’s run of good days to record highs could be a “bull trap” that sees latecomers gored when the market takes a step back. In an interview on “MoneyLife with Chuck Jaffe,” a MarketWatch senior columnist, Leydon expressed concern that much of the current rally has been fueled by the U.K’s Brexit vote to leave the European Union. That flow of funds leaving the British pound for the safer haven of the dollar could reverse itself quickly. Leydon, a technical analyst who early this year forecast the market’s rebound from a horrible start, noted that the action has the potential to set up a whipsaw. CalPERS Smears Lipstick on a Pig? Hard Times in Hedge Fundistan? The Bond Market's Ominous Warning?